We repair and install all kinds of gates in Fairfax . If you need a roll up gate repair, a rolling gate installation, a swing gate maintenance or a other kind of gate service, we are your address in Fairfax . A perfectly operating and strong rollup gate is necessary for the security of a store or a home, regardless it is residential sliding Iron Gate, or commercial parking lot rollup gate, or moving property. In order to make sure that the gate will not get stuck anytime in the near future, you are required to ensure regular maintenance and essential repair for your gate every time it is needed. Where regular maintenance that include greasing will ensure that your rollup gate will work smoothly, the timely greasing will prevent your rollup gate from encountering defects. And when it comes to repair rollup gates in the Fairfax or greasing and tuning a rollup gate, you are always advised to use the services of a qualified serviceman. The expertise, knowledge and the proper tools help them to repair your broken rollup gate safely and quickly. If you are looking for reliable, professional and affordable rollup gate repair in Fairfax, then you have definitely come at right place. Three States Garage Doors repair and install all types of iron gates: From storefront rollup gate repair, to commercial swing gate, we can be there today. Three States Garage Doors, aiming at remaining the best garage doors and gates company in the Fairfax. 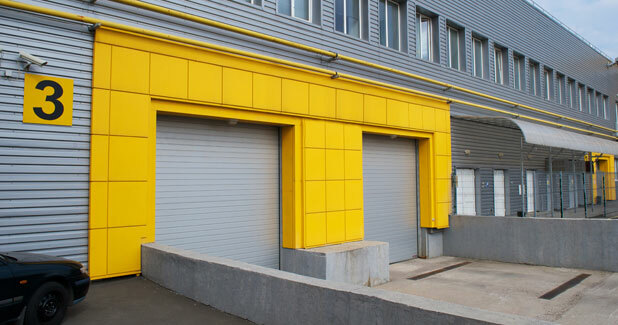 By customizing our services according to the requirements of the people who choose to use our services, Three States Garage Doors strive to deliver the excellent repairs ensuring perfect accuracy and efficiency for any task. Our main aim is working up to the satisfaction of our customers which we achieve by providing them with different solutions for the Rollup gate problems. Whether it is Rollup gate installment, gate repair or timely maintenance which every gate in VA need; we do our best to complete the task so the customer will know that when he chose to hire Three States Garage Doors, he made the right decision. Our aim towards providing the best and trustworthy services along with reaching the client satisfaction has helped us to win their trust and make our name in the gate repairs and installment field and built our reputation as one of the best garage doors and gates companies in the Fairfax. SAME DAY GATE REPAIR IN VIRGINIA!! The serviceman at Three States Garage Doors have years of experience in the field and are aware of every issue related to rollup gates. During these years they have expanded their knowledge to great level, which has helped them to ensure the proficiency in the task, and the best and cheapest repair service for all rollup gates. They always urge to expand their knowledge about the latest developments in the industry and thus, they are able to provide you the relevant services for any broken or stuck gate in the Fairfax. Whenever something new comes in the market, we ensure to make our repairmen know about it and get their hands over it. This helps us to operate according to your demands and ensure great solutions, and of course safety and security. There is no doubt that rollup gate repairs can end with accidents when the gate is treated by an amateur. One can prevent these accidents only if he is aware of the risk and safety measures that every gate repair or installment require. Our highly experienced repairmen have proper knowledge about the possible risks and the measures that they can take to prevent that. So, while getting your door repairs done by our repairmen, you can have real peace of mind that there will be no damage to your property. Here are rollup gate services we offer in the Fairfax. Are you finding any problem in opening or closing your rollup gate the Fairfax? Then something wrong has gone with the gate which may or may not be a big issue. In most of the cases with broken rollup or rolling gates, you will find yourself unable to locate the problem on your own. And what many of rollup gate owners does at this time is trying to open the gate again and again. But, if your rollup gate is not working properly and it is not clear that what happened to it, you need to stop using it and call Three States Garage Doors for quick and best rollup gate repair Virginia. Try to force the gate to open or to close can cause a bigger damage and can also put the safety of nearby people at risk. The best thing and safety thing for you to do will be to get in touch with a local expert in the Fairfax, Three States Garage Doors is a company that can provide a same day gate service in the Fairfax. 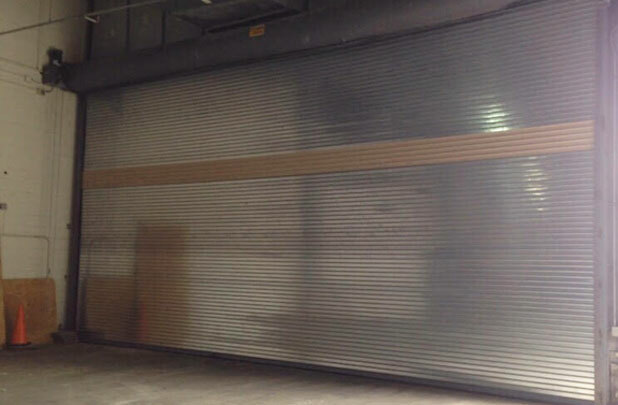 At Three States Garage Doors, we deal in providing installment, maintenance repairs for broken rolling gates. When it comes to gate repairs in the Fairfax, we ensure to use the best, but safest methods to repair the broken gate. We make the use of advanced tools to ensure full efficiency in the repairs and our knowledgeable experts implement their methods they acquired during many years to do the job right. For an instance, if you are encountering problem with your gate operator (motor/opener), then along with repairing or replacing it with anew opener, we will also check that it has affected any other gate parts of the gate or not. Thus, along with repairing the particular part, we will inspect the whole system for possible issues and malfunctions. Safety is our main concern while providing rollup gate services in the Fairfax. Therefore, we always send our skilled and experienced repairmen to do the repairs for the risky gate parts like the commercial tasks are. Being known to the possible results of risks, our repairmen take all the safety measures to ensure safety. Do you need same day repairs for your rollup gate? Then you can surely call us anytime. We understand that how urgent it can be for you to have access to your property. That’s why we deal in providing same day services, no matter how big or small the issue is. Having sufficient number of repairmen, we ensure to provide you the quick repair services for your broken rolling door in Fairfax VA. All our services come with warranty. Whether it is the component that we use or the labor; we provide warranty for that. Emergencies calls for gate or garage door repair the Fairfax can come anytime. Think about a situation that you are urgently required to visit your commercial building, but the main entry gate or the parking lot gate is not opening. Three States Garage Doors deals in providing all year round rollup gate repairs in the Fairfax and surrounding areas, you can call us anytime and one of our rollup gate specialists will be there. With our efficient and quick rollup gate repairs services, we ensure that our clients can have peace of mind that their gate is in right hands and there is no possibility of any further damage, and when we will complete the repair, the rollup gate will be safe for use again. Do you own an electric iron rollup gate in Fairfax? Then you must be aware that the motorized and automated rollup gates are more prone to defects. 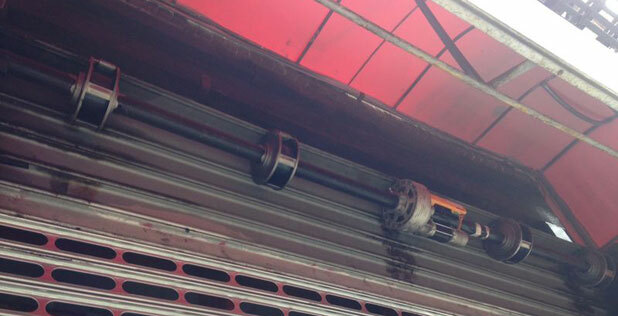 As the part that makes your door automated is the motor, most of the times the rollup gate defects occur due to it. It can be the problem with the electric switch, the safety features or the motor itself. As reason can be any among these, you are required to hire professional roll up gate technician for detecting the problem and then fixing it efficiently. If you are in the need of Iron Gate repair Fairfax, you can call Three States Garage Doors at any time, any day. We have spent years repairing rolling iron gates and thus, we are aware of all the issues. Our expertise in the field and the latest tools help us to locate and repair every issue that your motorized gate can encounter. However, if your gate is a motorized one, then in most of the cases the problem is with an opener. But, if it is not a motorized gate in Fairfax, then the other parts may have problems. No doubt that the incorporated parts of iron gates are same as that of other doors, but there is little difference in their attachment. So, for detecting whether your rollup gate is working well or is having any hidden problem, call Three States Garage Doors for same day rolling gate service in Virginia. By thoroughly inspecting your gate and doing the required repairs, we will make sure that all your gate parts are in well working condition. Sometimes, the small defects can damage the whole system or the particular part, thereby, demanding the replacement instead of the repairs. In that case, we will not only ensure the efficient replacement of the defected part/parts, but will also help you to choose the right parts. As wrong parts can lead to the further damages to your door, selecting the right part is much necessary and it can only be done by the professional repairmen. No matter which service you need for which type of gate, Three States Garage Doors is always there to provide you the on-time, efficient, reliable and affordable services. You might need emergency garage door repair, or commercial rolling gate repair, Feel free to call us anytime. 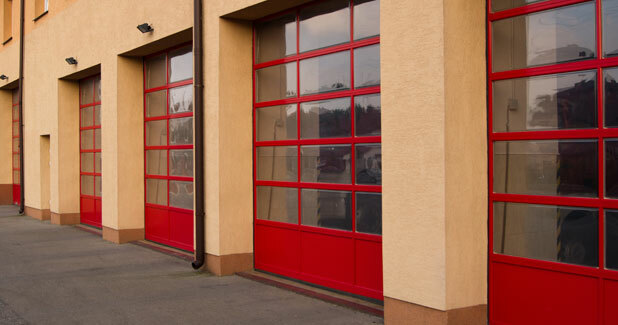 You might be in need for emergency gate repair in Baltimore, or for commercial overhead door repair in Fairfax, one of our experts will come and solve the problems for you. There is no steel gate we cannot service, you might be looking for a commercial gate maintenance and tune, or for a rolling gate chain system repair, and we are the answer, Three States Garage Doors of Fairfax service motorized gates and manual gates, rolling gates and rollup steel doors. You do not need to worry that you might have to wait for few days with your gate stuck for a specialist to come and repair the gate, with our same day emergency repairs we will get your gate working again today. Some gate repairs in the Fairfax require parts replacement, and some of the parts, like the gate’s spring are custom made. If that is the case, we will measure the gate, provide you with a temporary solution, secure the gate, and return with all the parts required to complete the repair. We have the ability to deal with multiple tasks like gate repairs and new gate installation, since we have multiple teams of gates experts, who are ready for any call, emergency, maintenance or installment. A stuck, out of track or broken gate, whether it is a rolling gate, a swing gate or a other kind of gate is dangerous, and should not be used. Even the smallest problem can be dangerous, and if it won’t be repaired immediately, and can get bigger until the gate will completely stop working. If there is something wrong with your gate, do not wait until it is too late and contact us for same day service. A stuck rolling gate is never a pleasant experience, and it seem sometime like the gate picked the worst timing to stop working. But there is no need to panic, since you can use our emergency gate repair service in Fairfax. No matter what time or what day, we will always be there for our customers. We carry with us parts and tools that allow us to repair your gate on the spot. If we couldn’t fix it at the first visit, we will close your gate for you, or we will open it for you, and we will return the same day with the needed parts to complete the repair, and allow you to go back and use your rolling gate just like before. If you need a roll up gate repair in Fairfax we can help. If your electric roll up gate is stuck, if the spring broke, if you need new slats, we are here for you and ready to come to your business and repair it for you. We offer same day repair service for all kinds of roll up gate in Fairfax, so all you need to do in order to get the gate repaired today is to contact us. If your roll up gate is stuck, avoid using it since you will only make the problem worst, and the repair will probably take longer and it will cost you more. So don’t wait for the problem to disappear and contact us today. If you are located in Fairfax , and you are looking for a compa that specialize in repairing electric gates, look no farther. We repair and install gate operators from all brands and for all sizes. Whether it is a commercial electric gate, or a residential gate, we can fix it. No gate repair is too small or too big for us, and we will always do the work that will get your electric gate working again ASAP, and allow you to get back to using a perfectly working gate. If you cannot remember when the last time that someone maintained your gate was, you better contact us right now to schedule an appointment. A gate maintenance is the key to a perfectly working gate, and it will make sure that the gate is going to continue to work for ma more years. But beside maintain the gate and its parts, the maintenance will improve the way your gate operate, and it will ensure that it will continue to work like that. When you hear about gate maintenance, whether it is a roll door repair in Washington D.C., or a roll up door in Fairfax VA, the first thing that comes to your mind is probably: why should I spend money on a gate that works fine? And the answer is simple-to ensure that it will continue to work like that. Just like you won’t ignore the need of your car for maintenance, so does your gate need to be maintained and tuned in order to continue to work with ought getting stuck or out of track. The roll up gate maintenance is also an opportunity to inspect the gate and its parts, and to make sure that it is safe for use. A maintenance and safety check of a gate should be performed every 6-12 months, and it help solving problems before they happen, and the gate get stuck and need to be repaired. A gate installation is something that you want to do once, to do it right, and to forget about it for at least 20 years. In order to achieve that, you need to purchase ha high quality gate, built from strong and lasting ,materials, that can stay strong no matter how often you will use the gate, and that will go through the tough winter min Fairfax . But beside high quality materials, you need one more thing ion your way to a high quality gate, you need a professional installer to perform the job. Three States Garage Doors specialize in new gate installation, and our installers are professional and experienced, who have performed countless gates installation in Fairfax and the area. If you are interested in a new gate installation, contact us today, and a gate specialist will come to your place and give you an advice. There is a professional article about roll up gate service, writtrn by Doctor Gate of NYC, that can help you if you would like to know more about roll up gates and how they work. When it comes to commercial gates, there is one thing you need to know, not every gate technician can deal with heavy duty gates, and a certain knowledge is required to repair or install that kind of gate. Beside garage door repair in Fairfax, we also specialize in commercial gates service. We carry the parts and the tools to deal with every gate project, complex or simple, and not only that we are going to fix it, we are going to do it today. As a business owner, you probably know that if the gate got stuck, it can cost you a lot of money and time that you could use for better purposes. To avoid a situation where your rolling gate get stuck, we recommend to perform a gate maintenance and inspection to make sure that the gate is safe for use, and that no part is broken or damaged. Roll up gate repair Fairfax.